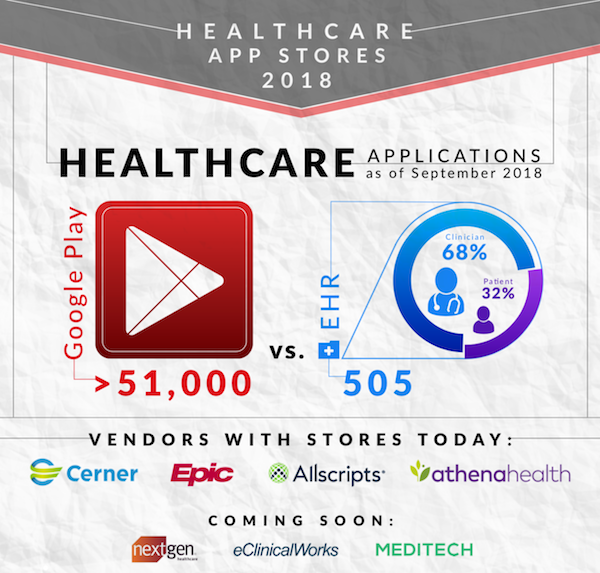 To accompany the release of our new report, Healthcare App Stores: Statues and Outlook, we have also created this infographic presenting options and opportunities from EHR vendor-hosted app stores (the most common and robust type of app store-host), as well as the most promising alternatives. Most healthcare apps are designed for consumers and available on consumer-oriented platforms like Google Play and Apple’s App Store. 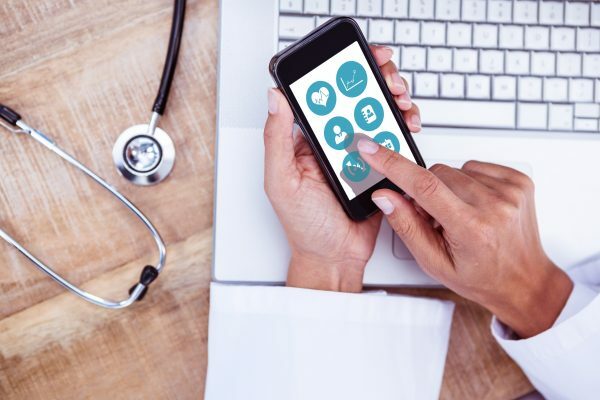 As EHR vendors ramp up their app stores, more healthcare workers will have access to apps, and patients will get better apps that integrate all their health data. Currently, healthcare organizations prefer to rely on their EHR vendor to “approve” independently developed apps and ensure that the apps will interact well with their EHR, the center of any provider’s IT infrastructure. Among existing vendor apps, many meet the reference needs of patients and/or clinicians, particularly around education and training. 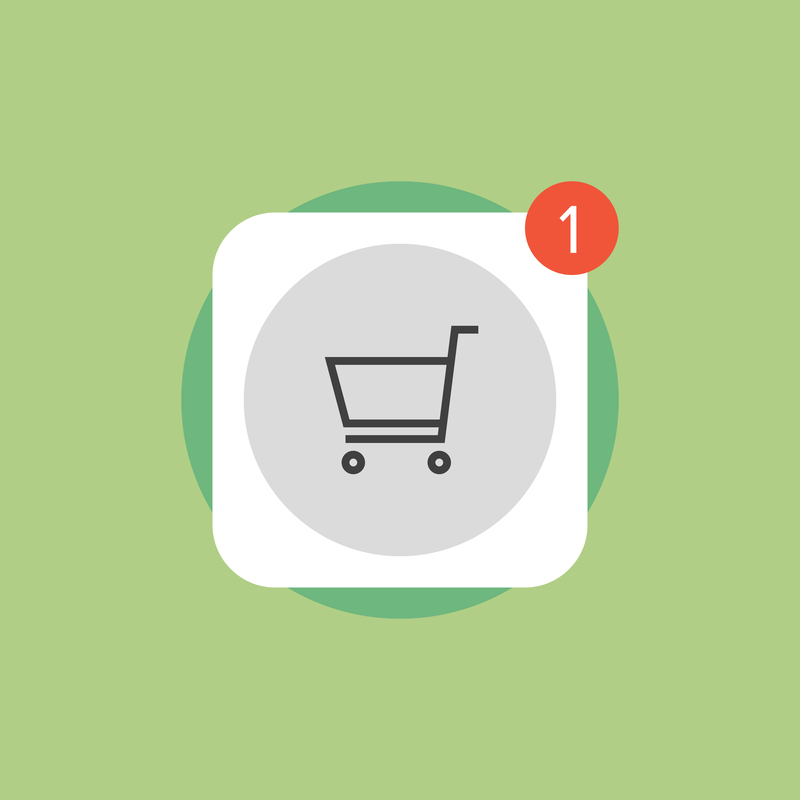 In time, apps that support the transactional needs of both will become more numerous — especially referrals, decision support, and inter-organizational workflows. 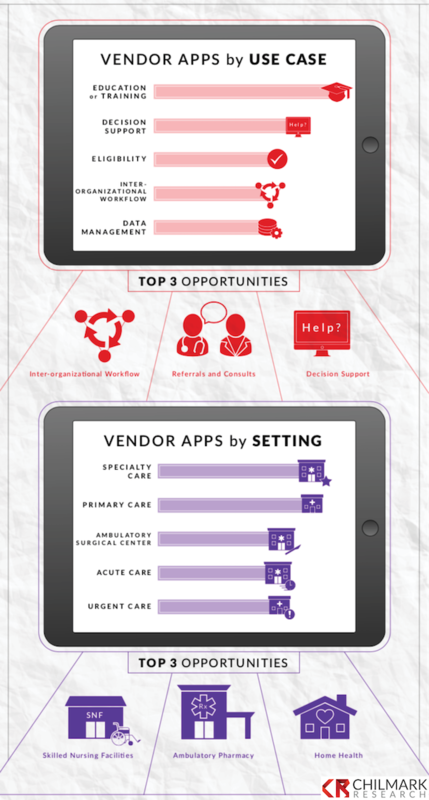 So far, most vendor apps are aimed at specialty and primary care settings. To match the growth of health IT adoption and its role in enabling coordinated care among various settings, skilled nursing facilities, ambulatory pharmacy, and home health settings are best poised to benefit from vendor-hosted app stores. Many types of companies hold patient data, and EHR vendors should not be the only or dominant sponsors of app stores in healthcare. 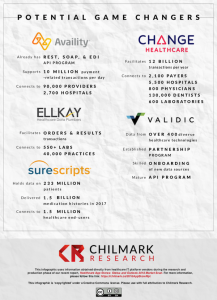 Data intermediaries, such as the companies below, already support complex transactions with large amounts of patient data, are connected to healthcare enterprises via portal or application integration, and possess strong IT capabilities. 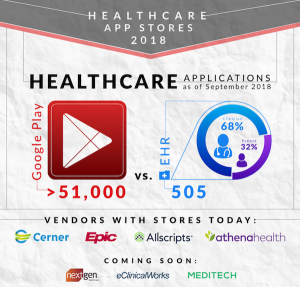 With their own app store platform, they could present a serious challenge to EHR vendor dominance in this emerging market. Either way, patients and clinicians stand to benefit from wider app development and use, no matter where they are hosted.